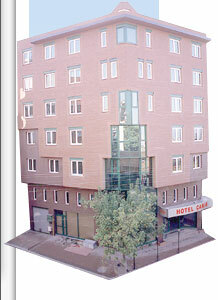 Since 1998 Hotel Çakir has been operating in the center of the green Bursa, the cultural capital. Our wish is to see our customers leaving happy after the best service provided to our guests by the Hotel Çakir team with our modern hotel management approach, daily renewal, smiling and experienced staff. We would be most delighted to lodge you as our valuable customers.